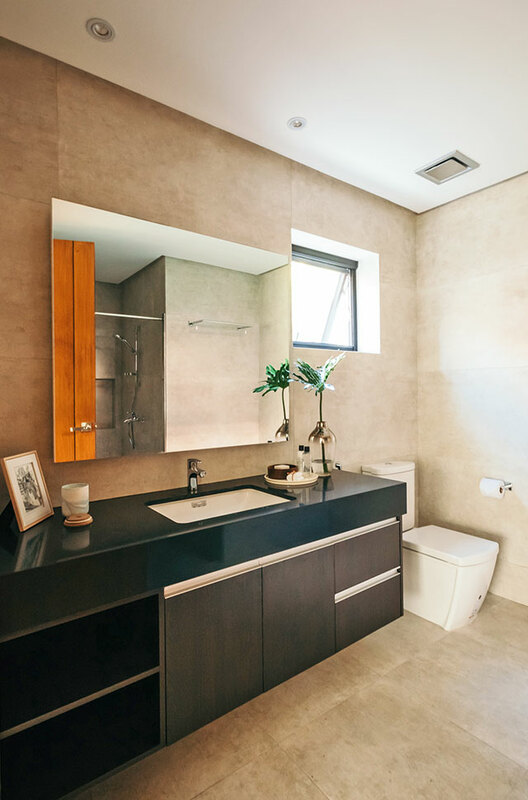 If you think you should just settle with bare tiles and basic fixtures if you have a tiny bathroom, then you are mistaken. There are different designer tweaks you can try, from removing an existing shower enclosure (too cramped!) to sticking to one light color palette. 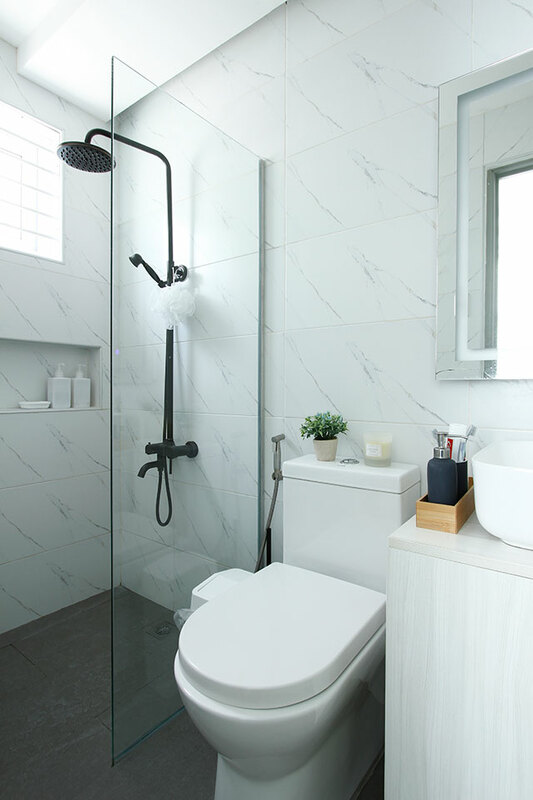 Read on for more bathroom space-enhancing tricks! 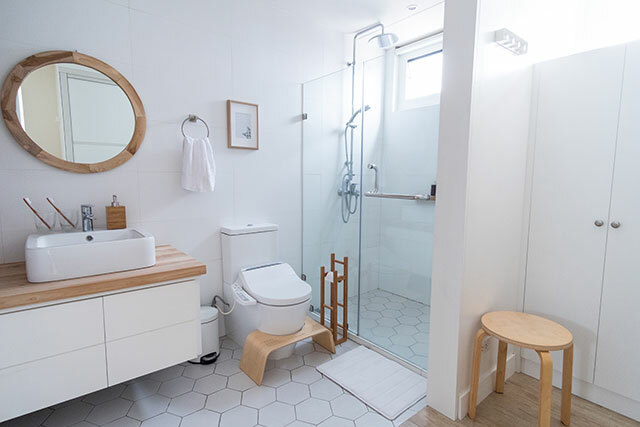 Concerned about a swing door getting in the way outside or hitting your knees inside the bathroom while you’re on the toilet? Then replace it with a sliding door that saves on floor space, as seen here in the condo unit of Ronald Gonzales. 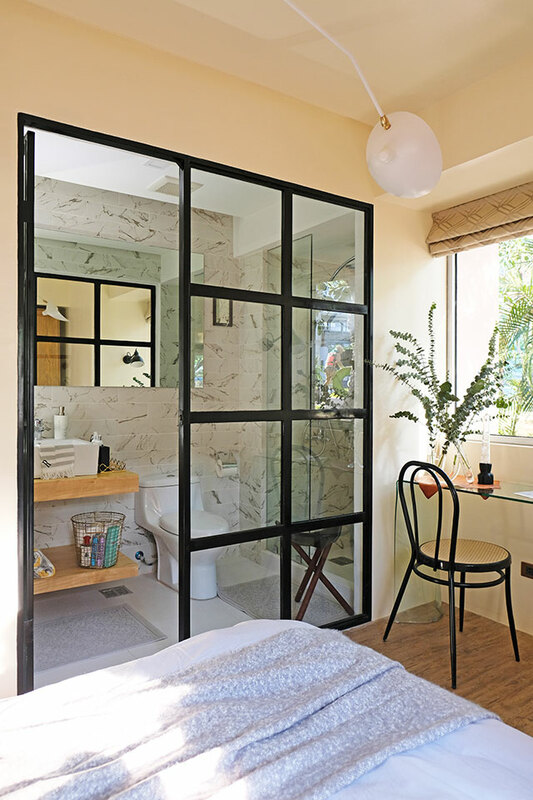 If you’re not concerned with privacy or your bathroom is ensuite with your bedroom, then demolish that door and wall and install Crittall doors (glass doors with painted black frames), as seen in this Cebu model unit by Maybelline Te. This is also a good solution if your bathroom doesn’t have its own window. Another solution for a small, ensuite bathroom is to not have any doors at all, and let it open up to your walk-in closet. Keep both areas in one color palette for a cohesive look. Want to keep it visually clean? 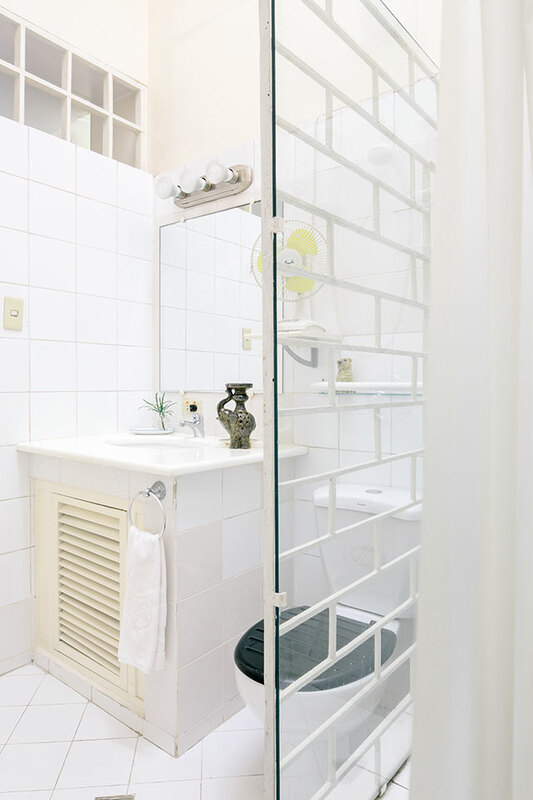 Use a frameless glass partition in lieu of the usual aluminum frame shower enclosure to get an uncluttered, open look. If you have a narrow bathroom, plan beforehand to locate all of your storage space to the base cabinet underneath your sink. You can alternate open shelving with closed cabinets for visual variety. 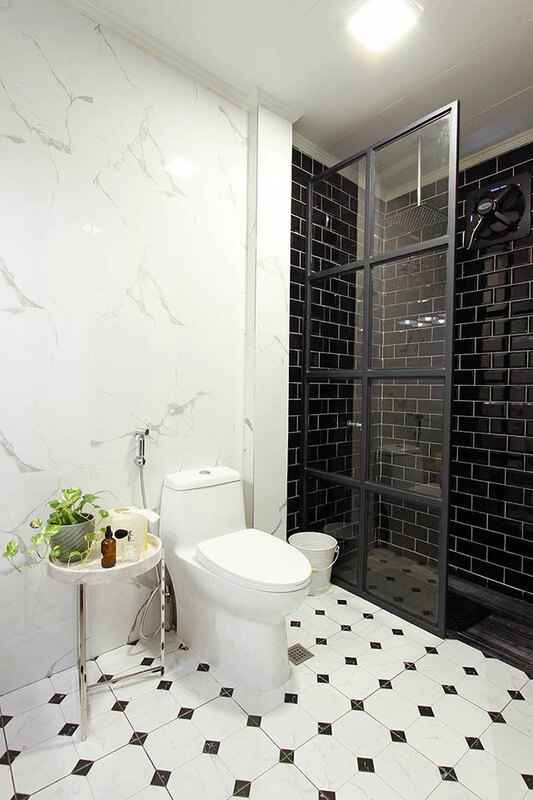 Using different tiles in one bathroom can add flair and depth. Just make sure to stick to one color palette, and use the boldest or darkest tiles as the wall accent. 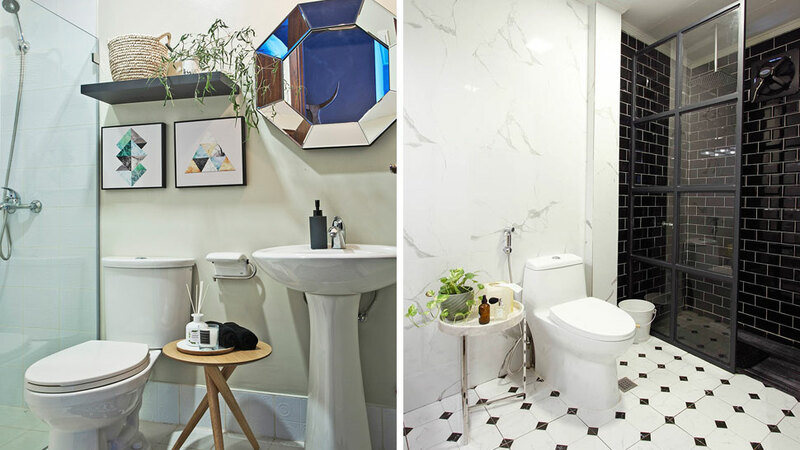 When in doubt, a small loo can really benefit from being all white, as seen in this powder room of National Artist Alice Reyes. You can add a bit of warmth and texture by way of wood, or natural woven materials in accents. 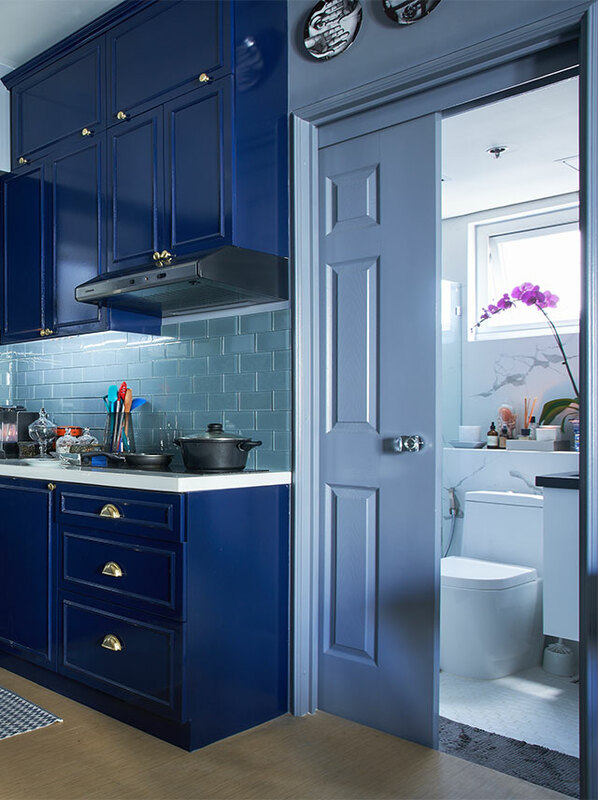 Are you renting your home and can’t install built-in cabinets? 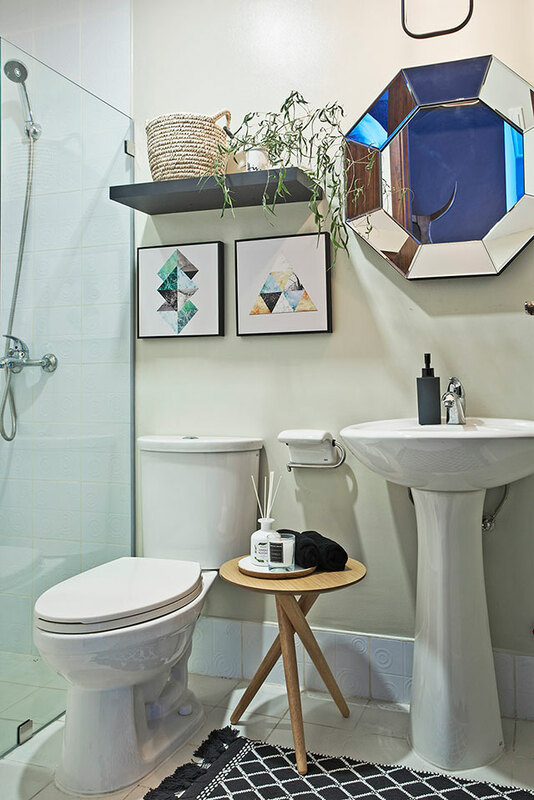 Then go for movable storage and add a small, occasional table in your bathroom for your toiletries. A small bar cart also works.